We’re happy to announce that you can now enjoy a three course vegan meal with us! 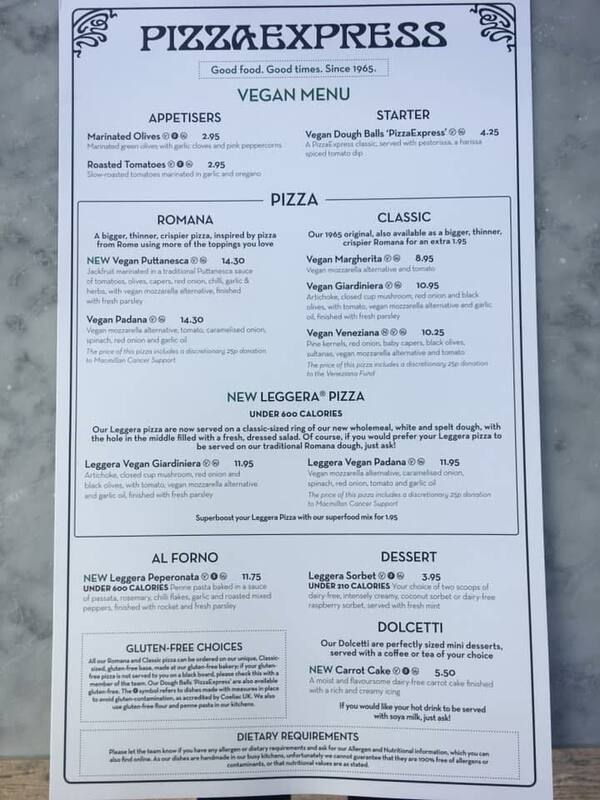 So if you’re looking for a vegan pizza restaurant near you, book a table today and enjoy our new menu. Did you know that our pizza bases are completely free of animal and dairy products and are suitable for vegans? And that our passata sauce is made from only crushed tomatoes, salt, pepper, fresh basil & oregano? All our pizzas are made by hand and can be ordered with or without toppings as requested by guests, or swapped for their preferred choice.